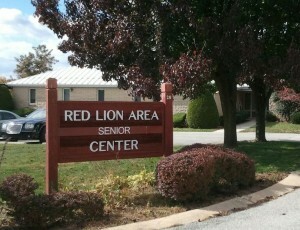 The Red Lion Area Senior Center is located in York Township near its eastern boundary, just off Cape Horn Road. The center is part of the York County Area Agency on Aging and is supported by York Township through a yearly donation. The Senior Center is a multi-service facility for adults ages 60 and older. The programs offered by the Senior Center are designed to overcome loneliness, enhance self-esteem, encourage personal growth, and facilitate independence through involvement. It serves a free daily lunch Monday-Friday for members and participates in the Meals on Wheels program. The Center also operates a gift and craft shop at its facility Monday-Friday from 8:00 a.m. to 3:00 p.m.